Hemelsblauwe California – Fly and Drive - Book in the Netherlands and pick up the VW camper in Portugal! 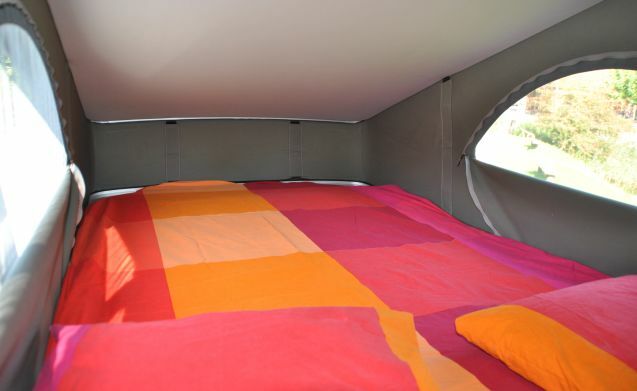 This camper is rented in Portugal, from the airport in Porto or the train station in Coimbra. Bed linen, linen and kitchen inventory is present !! 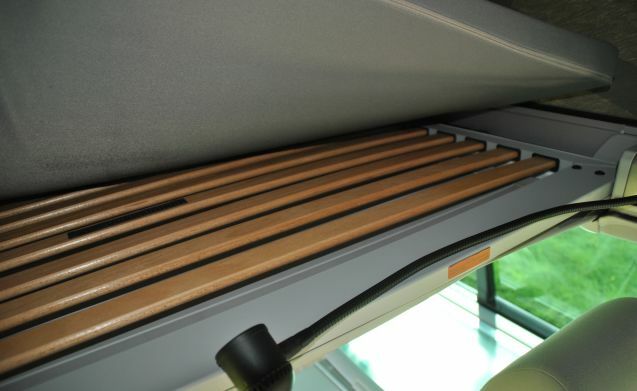 This luxurious California motorhome has a slatted base with thick mattress under the lifting roof that opens electrically. The camper looks nicely finished inside and has air conditioning and navigation. 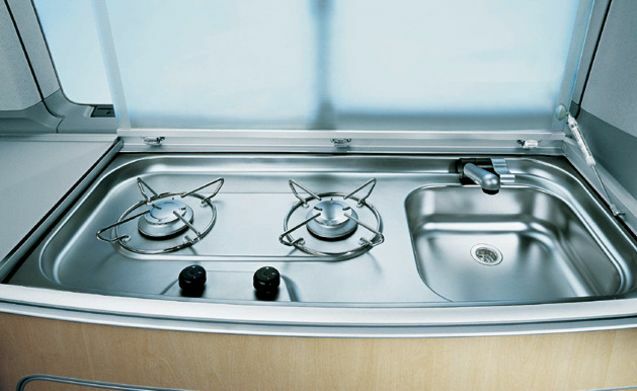 In addition to this luxury, the California has all the comforts that its predecessor already had. There are also various attributes optional to hire that provide extra comfort. Duvet, pillows, sheets and covers are present in the camper for 2 people. This can be supplemented with sleeping bags and pillows with pillowcases for a 3rd and 4th person. Linen consists of tea towel, towel, dishcloth, 2 bath sheets, 2 laundry and 2 guest towels. This can also be supplemented for a 3rd and 4th person. The camper can be picked up and handed in at the airport in Porto provided the arrival times and departure times are during the day. You can also choose the beautiful train ride to Coimbra to receive the camper. 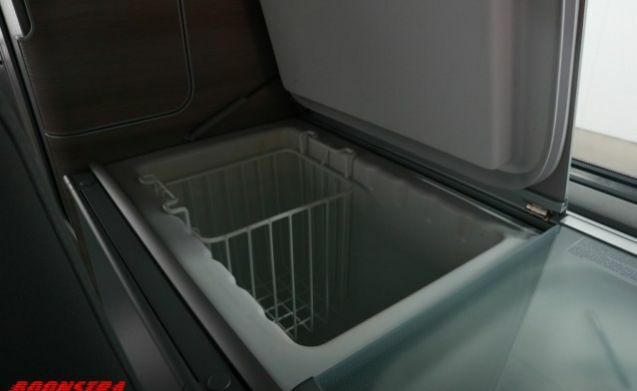 The camper must be returned before 11:00 in the morning and can be picked up after 2 pm. No campers are delivered or taken on Sunday. A one-time service fee will be charged on the rental amount. For Porto this is € 75, - and for Coimbra € 30, -. The camper has much more to offer than mentioned above. We would like to tell you more about it. 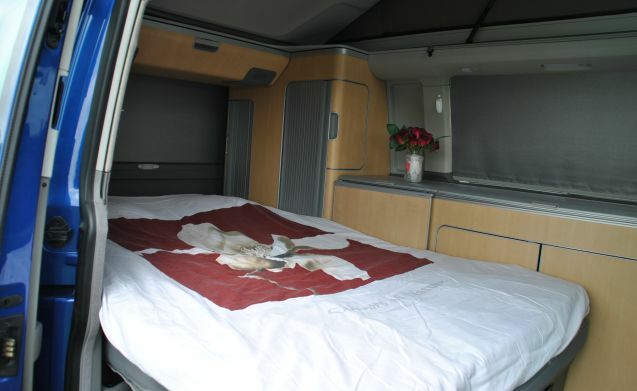 You can also visit the Netherlands to take a look in a similar camper. 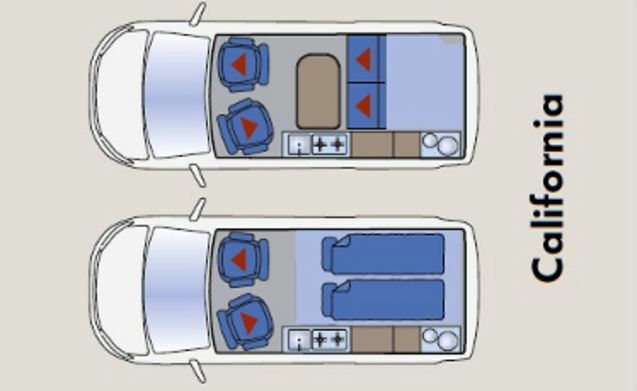 This way you can immediately feel whether this compact VW bus suits you! Would you like to take a holiday with my camper? Send me a message! You must be in possession of your driving license for at least 3 years. The camper will be returned clean and complete. Damage and loss of materials are reported in time so that we can make preparations for the next one who wants to travel with our camper. The fuel tank is full at the time of collection and when returning it must be full again. We do not have a kilometer charge and the pick-up times are in consultation. Payment for these options is required. This and the service costs are paid in cash for taking the camper.